Peter Gabel is editor-at-large of Tikkun and the author most recently of The Desire for Mutual Recognition, published by Routledge Press. Peter Gabel argues that the new socialism so popular among today’s emerging generation not only rejects capitalism as a system but rejects the idea of systems altogether. Peter Gabel on Brett Kavanaugh and the dangerous, collective hallucination of interpreting The Constitution using the “original intent” theory. On the 50th anniversary of Martin Luther King, Jr.’s assassination, Peter Gabel reflects on the history of racism in the U.S. and our failure to exist in mutual recognition of one another’s being. I SHARE WITH I’m sure virtually all of Tikkun’s readers a feeling of pain and horror at the acts of racial and ethnic violence that have occurred since the election of Donald Trump. And I of course agree that the rhetoric of Trump’s campaign has had the effect of stirring up and legitimizing the expression of these racist and xenophobic impulses in terrible and alarming ways. But it does not help our efforts to respond to and counter these realities to simply denounce the Trump campaign or Trump supporters as “being” racist or xenophobic as if their violent and cruel behavior were just an expression of their evil essence or brainwashed minds. Instead, we must look deeply into the impacted conditions of their psychological, spiritual, and economic lives to see what in their experience has led them to burst out by the millions in response to Trump’s message. 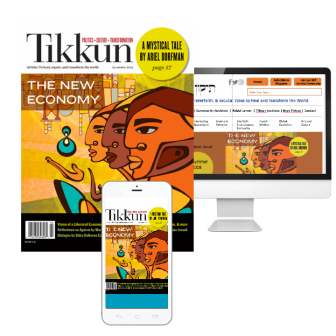 Editor’s Note: We at Tikkun have long advocated for the adoption of a Strategy of Generosity in US foreign policy, decisively shifting our perspective on how we relate to the rest of the world from the “power over” approach which has failed miserably for 7000 years and produced nothing but violence and counter violence to a deep spiritual approach that recognizes the humanity of others and demonstrates our care for the well-being of all who live on the planet. In the following piece published on Truthout yesterday, our Editor-at-Large Peter Gabel offer a philosophical foundation for that vision that shows the relationship between healing and repairing the wounds that separate us and ending the otherwise unending cycle of violence that causes so much human suffering. If you find this compelling, help us spread the message. 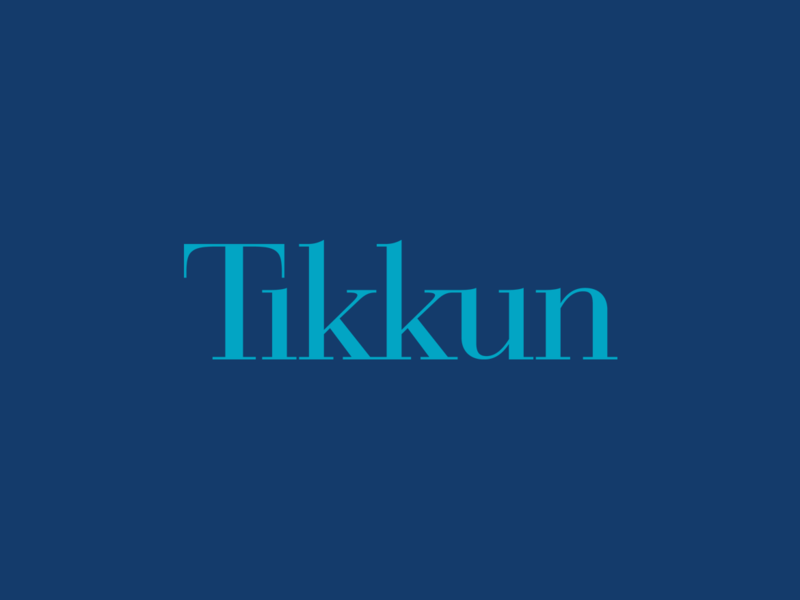 Join our interfaith and secular-humanist-welcoming Network of Spiritual Progressives or donate to Tikkun. Read our proposed Global Marshall Plan which would be a massive step toward implementing what Gabel calls for in this article. The desire for mutual recognition is not an abstract universal, but a concrete universal manifested in all human situations as an expression of the very meaning of what it means to be a social human being. We need a new legal paradigm that affirms the spiritual dimension of our common existence. Join our efforts to place empathy at the center of the law. by Brooks Berndt and J. Alfred Smith Sr.
For forty years, J. Alfred Smith Sr. served as the senior pastor for the Allen Temple Baptist Church in Oakland, a church with a national reputation for its ministry of black empowerment and liberation. Anyone who has been in Rev. Smith’s presence has likely been altered by the experience. He is a profound and eloquent person who carries within himself a joyful spiritual confidence coupled with a deep concern about the abiding presence of social injustice in our world. I would say that it is a relief to be around him because he affirms in his being the central message that we all long to hear—that hope and wisdom are reconcilable, that we can see the world exactly as it is with its suffering, pain, and injustice, and still feel with a full heart that we can transcend what is toward what ought to be. In his new book Sounding the Trumpet: How Churches Can Answer God’s Call to Justice, he has joined with Rev. Brooks Berndt to try to convey—through an exchange of letters between Rev. Berndt and himself—how a church can seek to become a force for social transformation. The text above was just an excerpt. The situation in Ukraine remains extremely unstable with pro-Russian separatists still engaged in some street battles with the Ukraine army and the Kiev leadership holding “peace talks” with very limited participation from the pro-Russian sector. Meanwhile, the Western media continues to offer a wildly one-sided view of events, blaming Vladimir Putin and supposed Russian imperial ambitions for the crisis while forgetting that the Kiev government gained power through a coup that forced the duly elected Ukrainian President Viktor Yanukovych from office in February. Whatever one thinks of Yanukovych, there is substantial evidence that the coup that deposed him was supported by neo-conservative foreign policy hawks in the US and Western Europe, and that some of those who have now come to power in Kiev are right-wing nationalists with neo-Nazi ties. As I argued in my recent piece on Tikkun Daily “Another Way of Seeing the Ukraine,” the reason the Western media has been so one-sided in its coverage, ignoring how the steady incursion of NATO forces surrounding Russia appears to Putin and ignoring the undemocratic triggering event of the Kiev coup itself, is that the aspect of our collective psyche that is unconsciously pre-occupied by Fear of the Other actually wants to recreate the Cold War so as to reaffirm our egoic and defensive “national identity”–even at the cost of encouraging possible military conflict between countries with thousands of nuclear missiles pointed at each other. Below, we publish Oliver Stone’s thoughtful account of his meeting two weeks ago with Mikail Gorbachev, which provides further insight into the circumstances that have led to the present crisis and the role paranoid cold-warrior mentality plays in turning opportunities for peace into occasions for the recreation of dangerous and irrational conflict. Most of the theories we use to understand social reality overlook the power of humanity’s desire for community and connection. We need a new narrative behind our efforts to heal the world. The United States itself was founded on a principle of human freedom that presupposed an inherent antagonism between self and other, a belief that the essential meaning of liberty was that we need to be protected against other people. Yet as we now look out at and live within the envelope of the world we have thus created, we must come to realize by a kind of evolution or enlightenment—by “waking up”—that the liberal framework, the framework of separation, is not only inadequate but harmful.